Trade safer and more stable with a sensible money management. This is the key to success. Money management is the most important skill every trader needs to learn. When trading the markets, there are only a few number of things you, as a trader, have full control over. One of these is the amount you risk on your trades. Learning why it is important to control risk is and implementing rigourous capital protection rules is the first step towards trading success. 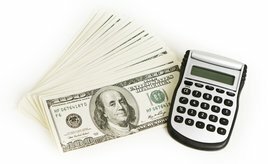 But the purpose of money management is not only to protect your trading account, but also to help you maximze your potential gain by learning how to calculate optimal trade size and mastering advanced psoition management techniques. This is a course about tweaking certain aspects of your trading to become more profitable inmediately without changing anything about your system. How much money (trading capital) do you need to trade? quiz: How much money (trading capital) do you need to trade?